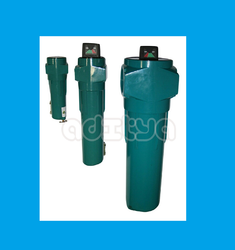 ADITYA ENTERPRISE is leading supplier of Replacment LINE FILTERS CARTRIDGES for all major brand Screw Compressor manufacturers like ATLAS COPCO, ELGI, INGERSOLL RAND, KAESER, CHICAGO PNEUMATIC etc. We sell a full line of replacement air compressor line filter cartridges elements. 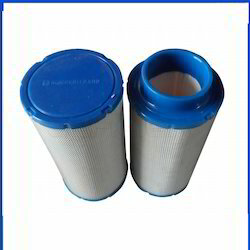 Filters are coalescing and particulate filters, the key to effective filtration is to optimize the filtration mechanisms through the filter media of borosilicate microfiber.We supply the replacement line filter cartridges for all major brand make rotary screw compressors such as kaeser, atlas copco, elgi, ingersoll rand, chicago pneumatic etc. Line filter cartridges elements are available in different models like gp, he, ddx, pdx, ee, ef, eg. We are offering ddx, pdx, online filters. 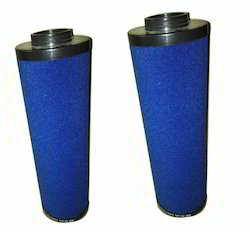 Coalescing filters for general purpose protection, removing liquid water and oil aerosol to 0. 1 mg/m (0. 1ppm) and particles down to 1 micron. We supply 100% compatible Compressed Air Filters of Kaeser, Atlas copco, Elgi, Ingersoll rand, Chicago pneumatic, Sullair, Boge, Kirloskar pneumatic make rotary screw compressors with 100 life, performance & fitment assurance. These products are made by using premium quality material under the supervision of our deft professionals. Offered range is made available in different models as per our clients specific requirements and can be availed by the professionals to the valuable customers. We supply 100% compatible Compressed Air Line Filters of Kaeser, Atlas copco, Elgi, Ingersoll rand, Chicago pneumatic, Sullair, Boge, Kirloskar pneumatic make rotary screw compressors with 100 life, performance & fitment assurance. These products are made by using premium quality material under the supervision of our deft professionals. Offered range is made available in different models as per our clients specific requirements and can be availed by the professionals to the valuable customers.Purification of air we breathe carries contaminants. Airborne particles, water, microbes, and chemical gases enter compressors. At a state these contaminants become concentrated and more destructive. Molds, fungus, and compressed air system. Microbes require moisture to grow. In addition to being a health threat to workers, microbes produce acidic waste. This waste corrodes the sludge. Sludge clogs pipes and valves causing valves to jam (stiction). Filtering and drying processes remove particles, moisture, microbes, and chemicals from compressed air. Clean, dry air protects the air system, reduces maintenance costs and increases finished product yields. Halward Has a range of Filters to take care of tis problem. We are successfully ranked amongst the topnotch entity offering a wide range of Air line filter completer with Aluminium Housing, Filter element, Auto drain valve and differential oil gauge. These Line filters are Ideal for removal of Oil, Moisture, dust particles around 0.01 micron with great efficiency. We sell a full line of replacement air compressor line filter cartridges elements. Since our inception, we are instrumental in offering premium quality Replacement Screw Compressor Line Filter Cartridges. 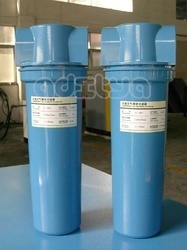 Diameter 1" to 10 "
By keeping track with the market development, we are offering optimum quality Pressure Line Filters. We are successfully ranked amongst the topnotch entity offering a wide range of Replacement Compressed air filter element of Ultra filter. These Line filters are Ideal for removal of Oil, Moisture, dust particles around 0.01 micron with great efficiency. 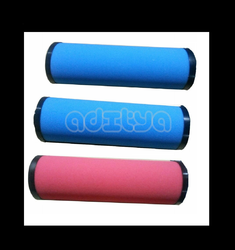 We are pleased to inform that we at Aditya Enterprise are pioneer supplier of Replacement Compressed air filter element of Ultra filter. These Line filters are Ideal for removal of Oil, Moisture, dust particles around 0.01 micron with great efficiency. 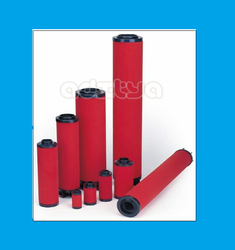 We are pioneer in wide range of Replacement Compressed air filter element of Zander. These Line filters are used and Ideal for removal of Oil, Moisture, dust particles from 0.05 to 0.01 micron with great efficiency.